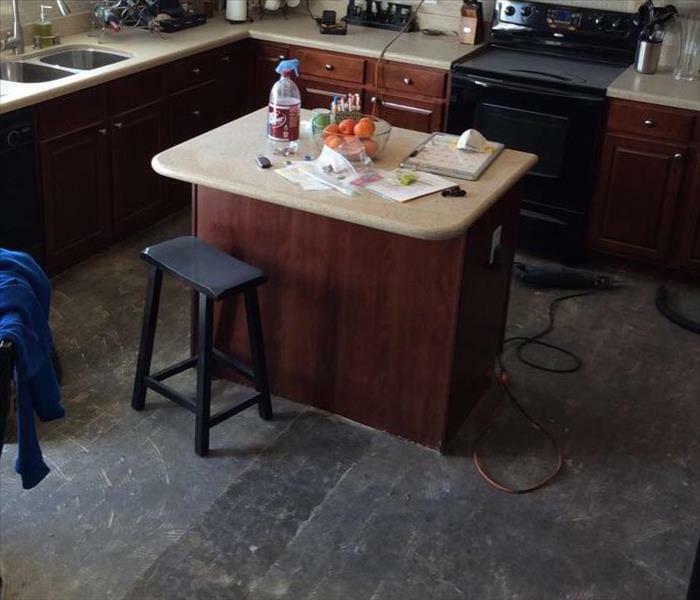 When you choose to work with SERVPRO of High Point, you can rest assured that our team will only do what is necessary to get your property back to its' original condition. We follow strict ethical guidelines that dictate we only treat affected areas, as we operate as a Company that practices "minimal invasion". We do not perform unnecessary "demo" to make the loss worse, increasing the claim amount. This concept of not making a mountain out of a mole hill is why we've kept such an impeccable reputation in the community. The goal is to create lasting partnerships with our customers so they will not only call us the next time, but also will refer us to friends and family. Flooding or water damage can affect your High Point home or business, day or night, without warning. That’s why we provide immediate emergency water damage restoration services 24 hours a day, 7 days a week – 365 days a year. SERVPRO has over 1,700 U.S. and Canadian Franchise locations, strategically positioned to be faster to any size disaster. If your High Point home or business is affected by water damage, we can provide an immediate emergency response that helps to prevent secondary damage and mold. SERVPRO of High Point is locally owned and operated so we are part of this community too. When you have a flooding or water emergency, we’re already nearby and ready to help. We take pride in being a part of the High Point community and want to do our part in making our community the best it can be.